Can you believe it’s already February? I feel like we just had the Christmas break. This year is just flying by. With Valentine’s Day being just a few days away, I really needed to get a move on it. I thought about just going with one of the adorable free printables I found on Pinterest. After all, I feel like I’m still recovering from Ben’s birthday party which was a couple of weeks ago. (I still need to write a post on that, yikes.) 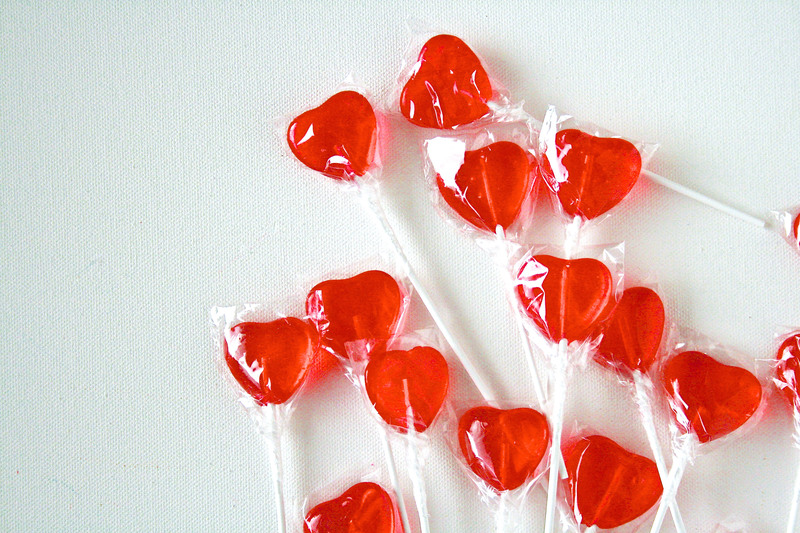 However, on a recent trip to Target, I found these adorable heart-shaped lollipops. And better yet, they were on sale for $1 for a 6 pack! Hooray! Don’t you just love good Target finds? Once I found these, I knew what I wanted to make. I did a quick “drawing” of Ben in Adobe Illustrator. I initially made it black and white but once Ben saw it he said, “Mom, add more details!”, which is something I always tell him to do in his drawings 🙂 So, with Ben as my art director, we picked out the colors for his shirt, pants and shoes. I must say, I like it a lot better. Maybe I have a little budding artist on my hands. 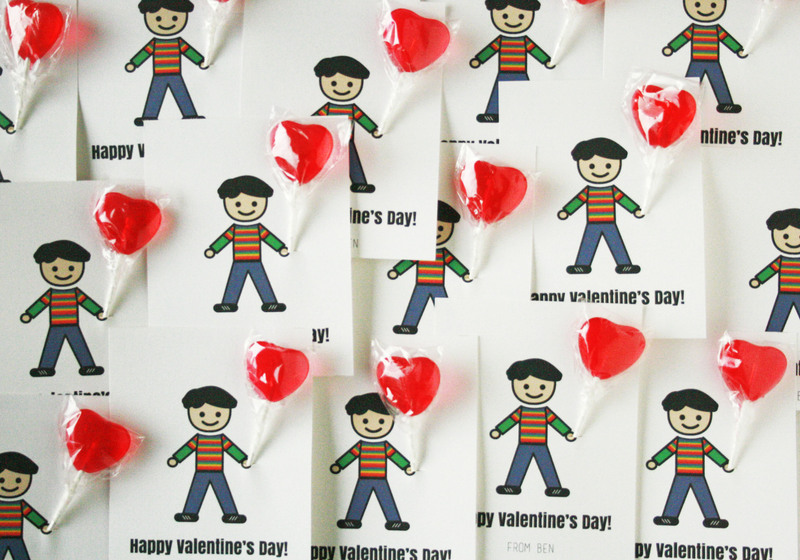 Once printed, I just cut a small slit on the hand and put the lollipop right though. So simple but so cute. 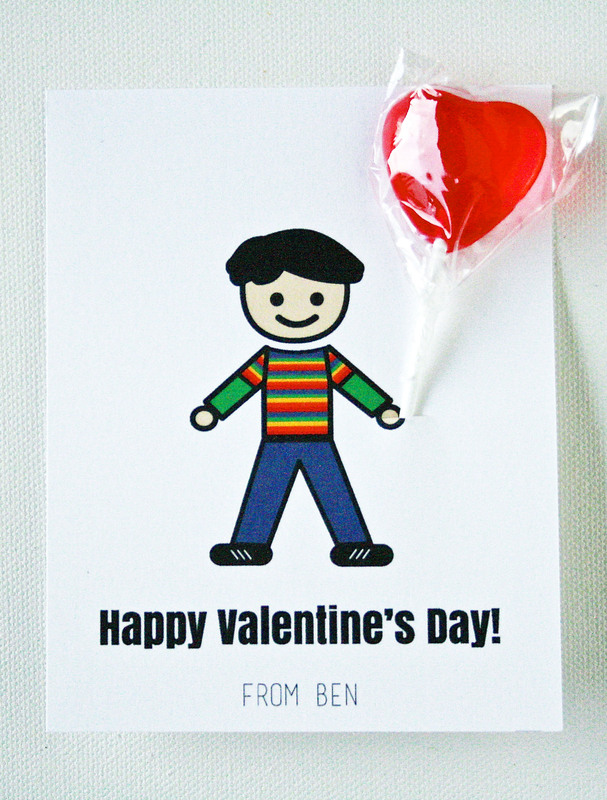 Here’s the Valentines 2015 Free printable. 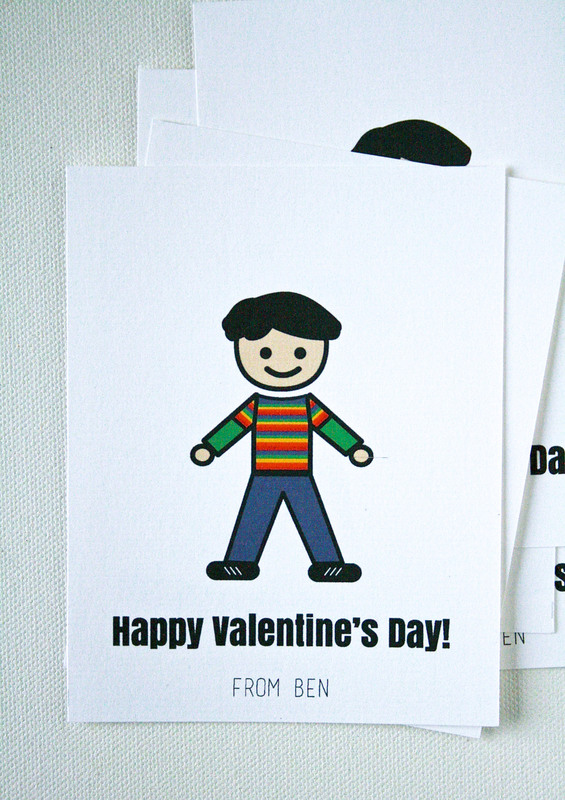 Happy Valentine’s Day, everyone! Print the free download. Using a ruler and a xacto knife, cut the printout into 4’s using the guide. Make small slit on the hand. Insert the lollipops. All done!